During our stay in South Africa we only had a couple of days in Cape Town. Our main purpose was to catch a World Cup match. However, during our planning for the trip many people told us that we couldn’t leave Cape Town without visiting some of the wineries. You don’t have to tell me twice. This photo was taken from the van on our way up to Stellenbosch. If you are in Cape Town, don’t miss out on this experience. The scenery is wonderful and the wines were superb. This entry was posted in Africa, Travel Photos and tagged 50 Year Project, Africa, Cape Town, Life, Photography, Photos, South Africa, Stellenbosch, Travel, Travel Blog, Travel Journal, Travel Photo, Travel Photos, Wine, Wine Tasting, Wineries. Bookmark the permalink. My sister lives in Fishoek near Cape Town. It is a beautiful area in South African, pity you didn’t go along the garden route (coastline) Stunning! Lovely picture capturing the low clouds. If I go back I’ll do the garden route! The landscape is really interesting there. living in Cape Town one tends to get a bit blase about the scenery, wine farms etc.I must make a plan and go for a trip around the wine route soon. Glad you enjoyed yourself. I loved the area…have a glass of wine for me. Beautiful pic. The mountains make such a wonderful contrast. Don’t think I’ve ever tasted a South African wine. Have to give it a shot! It´s on my bucket list! 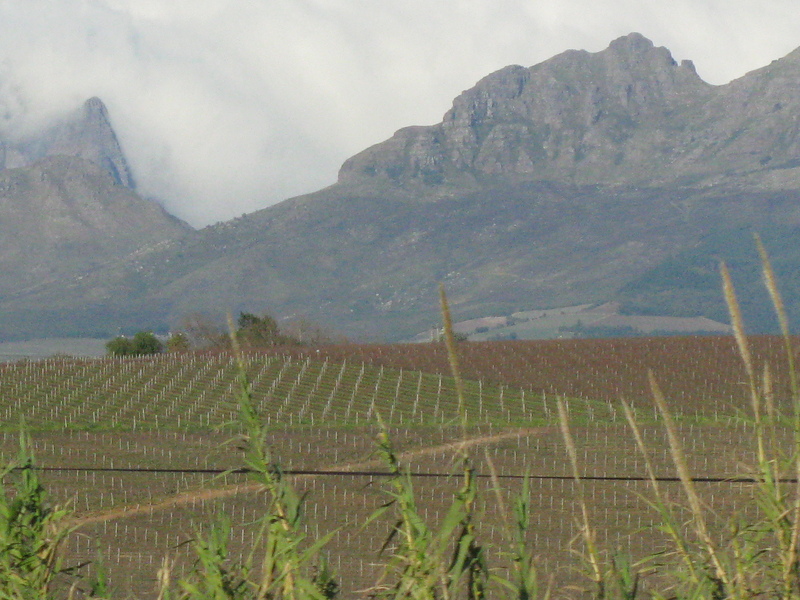 I, too, visited Stellenbosch when I was in South Africa. It is beautiful. Thanks for the memory! Glad I could help…it is a wonderful area. That’s ok…I agree with you! Wow—that iscwonderful to look at and I bet the wineries were fabulous! Hope we make it there someday!!!! Between the colors, textures, and shapes in this shot, you’ve managed to capture a marvelous photograph. Great take! 🙂 Really pretty. Winery! Of course I would want to check it out also. Glad the wine was superb! I don’t know much about wine, but I do know that I really enjoyed the ones we sampled.